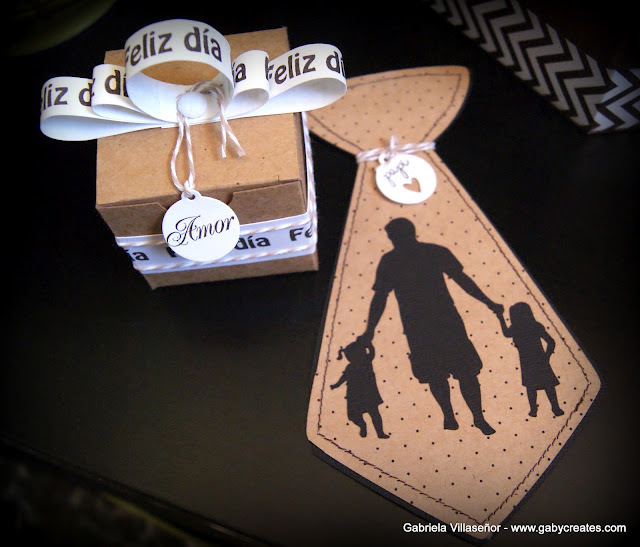 Today I am sharing a card and a box celebrating Father's Day over at Dilo En Español. 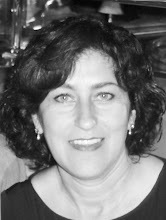 Hoy estoy compartiendo una tarjeta y una cajita celebrando el Día De Los Padres en el blog Dilo En Español. The card will be for my son-in-law. I thought it was so perfect since he adores my two grand daughters! and the little girls look just about the right age as my babies! Esta tarjeta es para que mis nietecitas se la obsequien a su papá (mi yerno). Esta cajita la cree pensando en mi hermana. Mi hermana le a llamado a su esposo Amor desde que se casaron hace mas de 25 años! Algunas de sus amigas piensan que Amor es el nombre de el!! 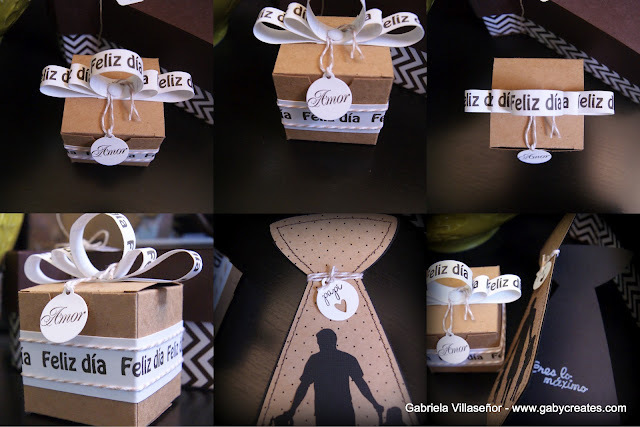 I used the stamp "feliz dia" from the "Que Siga La Fiesta" Set and continuously stamped the words to create my bow and the strip around the box. 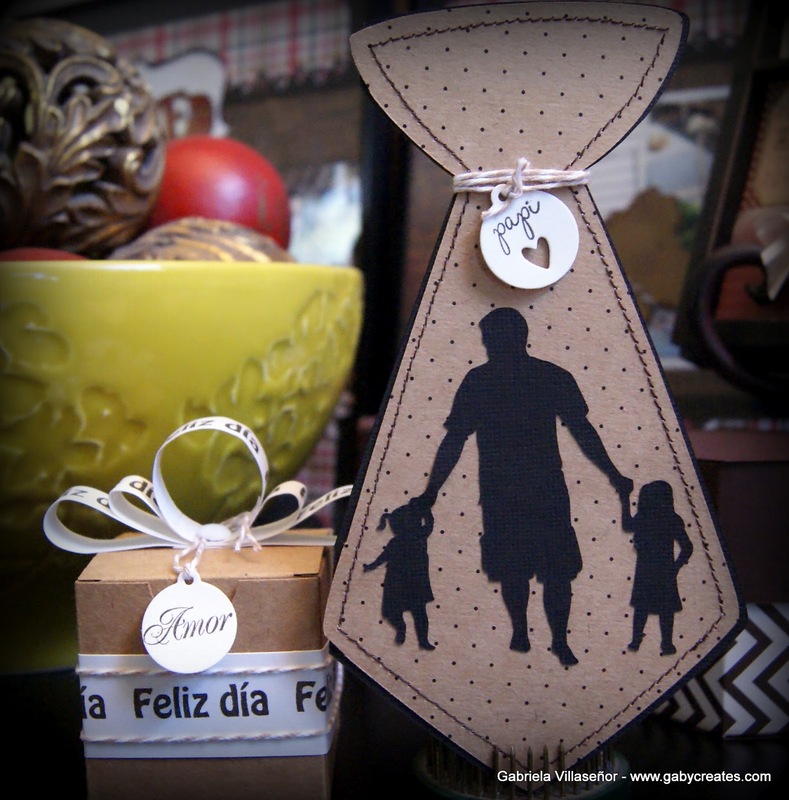 I used the stamp "amor" from the "Para Toda La Vida" Set for my tag. I used the word from the stamp "la princecita de papi" from the "Mi Bebé" Set using a masking technique for my tag, and the stamp "eres lo maximo" from the "Muy Agradecido" Mini Set for the inside of my card. The card in the tie shape and the silhoutte of a dad with two daughters is from the Silhouette online store. 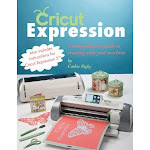 Brown SU ink, white Colorbok ink, Timeless Twine, PTI tag die, kraft box, sewing machine, thread, brad, Bazzill kraft PP and cardstock in white and black.